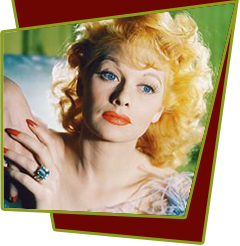 Set somewhere in the Central American jungles, Joan Grant (Lucille Ball) runs her cocoa plantation. She also allows a platoon of US Marines to stay there. Joan is a pretty lass and two of the Marines tussle over her affections. when she is kidnapped by banditos though, the two unite and with the rest of their troop, set off to save her. Henderson, the plantation foreman, is really El Vengador. He kidnaps Joan and sets a trap for the Marines he knows will try to rescue her. The two rivals eventually realize that to defeat the enemy, they will have to work together. When Malone is heading for an ambush, Derrick flies to his aid and rescues Joan. Special Notes: During the production, Director George Nichols, Jr. was killed in a car accident. RKO had Benjamin Stoloff complete the filming as the new director. Lucille Ball would later purchase this RKO 40-Acres backlot as part of her Desilu Studios holdings.